The International Space Station is believed to be the third brightest object in the sky after the Sun and Moon, which means that you can spot the space outpost without using a telescope. 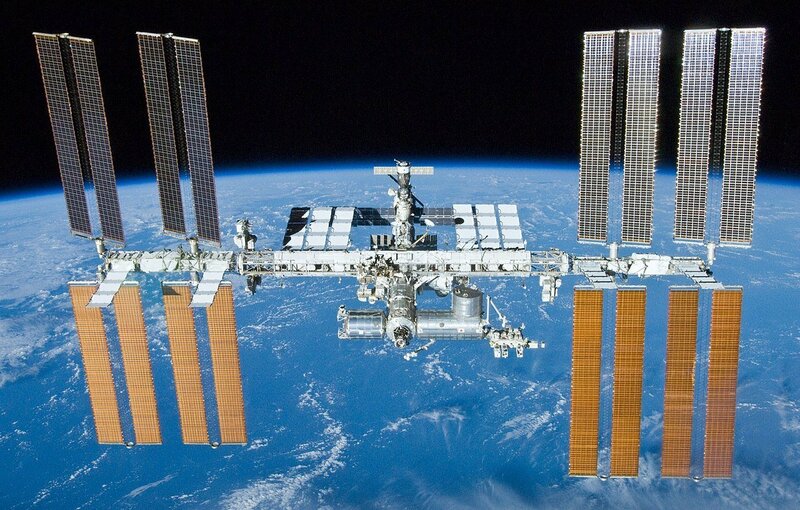 The International Space Station (ISS) will be visible with the naked eye after midnight over Russia, including the capital Moscow, between July 12 and July 21, according to the Moscow Planetarium's website. "The ISS will look like a white bright and fast moving star which will become a reddish orange [object] after it enters the Earth's shadow," the website quoted Russian astrophysicist Alexander Perkhnyak as saying. He explained that those who are eager to track the ISS should download the ISS Spotter app on their smartphones. "During the ISS' flyover, you just need to look at the sky above the western horizon," Perkhnyak added. Also, enthusiasts can calculate the time and the flight path of the ISS for their region by using the website www.heavens-above.com, where they should select their location in the panel in the upper right corner, and then pick the Satellites section.